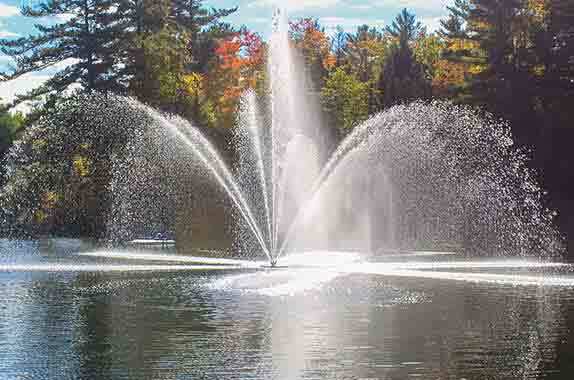 The Lily pond aerator provides excellent water aeration plus the decorative look of fountain. The Lily pond aerator provides excellent water aeration plus the decorative look of fountain. This Made in Canada Lily Pond Aerator is sure to capture plenty of attention! The propeller is protected by the aerator motor mount. It provides generous water flow and protects the unit from large foreign objects.